 Wondering what the NEXT STEPS are here at Radiant Life? We believe that following Jesus is not a classroom experience but a journey. That’s why we give you a backpack, lots of coffee and a new piece of equipment every week to reinforce the training we are giving you to follow Jesus with us here at Radiant Life. In this first step, join us around tables to connect with Ryan’s personal story, Radiant Life’s unique story and to discover how pursing God with us can impact your story as well. Step One takes place the first Sunday of every other month. In this third step, discover how you are uniquely shaped to impact others. Then pick from two adventures. The first will take e you to place in our church few Radiant Lifers have seen to observe how volunteer teams we call Change Makers are impacting people’s lives on our campus. Or, you can choose to learn how you can make a difference as a small group leader impacting people’s ives in homes all over our community. Step three takes place the third Sunday of every other month. In this second step, enjoy some fun activities at your table and discover how to build community by making friends, following Jesus and making a difference in a small group. Step Two takes place the second Sunday of every other month. In this fourth step, we will explore how Radiant Lifers like you unleash compassion both locally and globally, changing the world one neighborhood at a time. Step four takes place the fourth Sunday of every other month. Step One on the first Sunday of the month.